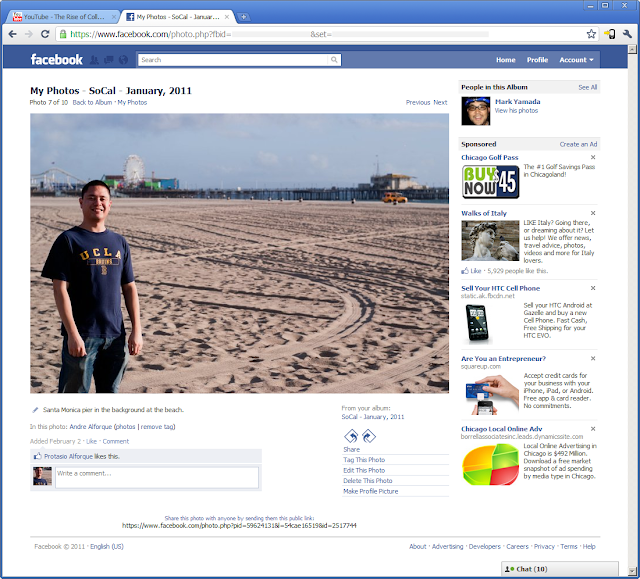 I just noticed a new picture viewer by Facebook. They label it "theater." I liken it to the "lightbox" view that Flickr offers. The utility it offers is a reduction of clutter when viewing images. Because when I'm looking at pictures I just want to flip through an album or set of pictures. 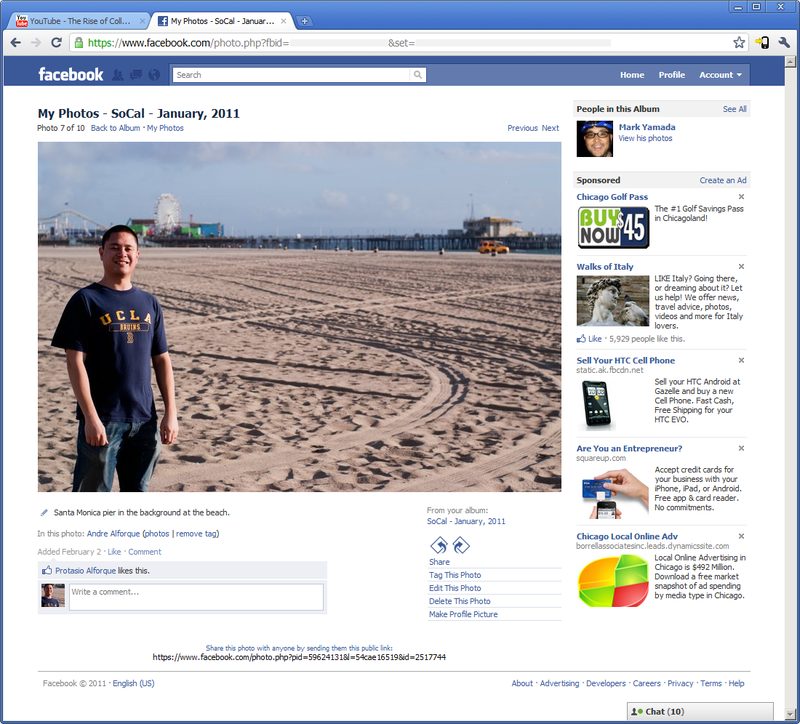 It's interesting that Facebook keeps functionality on the bottom of the picture. Also, the URL with the text "&theater" inserted into the URL fails to load this view. 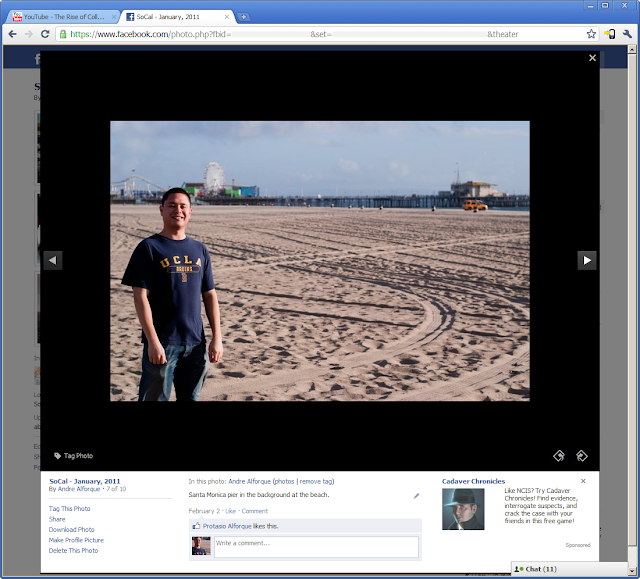 The view appears it is only reachable by clicking on a photo from an album (or profile or whatever). And when you click the "close" link, it returns you to the action grayed out in the background.